Having impressed with their Goats Camembert I knew it wouldn't be too long before trying another from their range. As luck would have it, a solitary round of their recently awarded Champion Washed Rind Cheese lay in the cheese cabinet - it was an opportunity not to be missed. This doesn't score on the cute label scale as the previous cheese but as the saying goes, it's what's inside that counts. 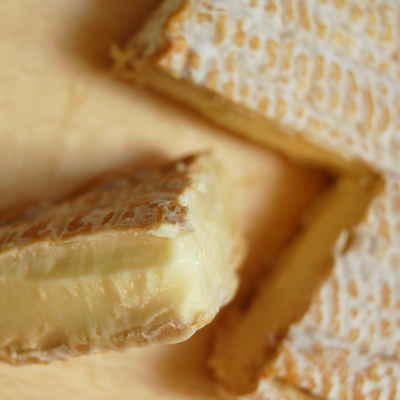 Washed rind cheese do suffer somewhat due to their pungent nature but I must admit that I am a devotee. There is truth in advertising in this case. I really couldn't describe it any better. Though it looks robust it's actually quite soft in the hand and will get pushed out of shape. The rind is quite thick and very strongly flavoured - I'd rank this as more intensely flavoured than the King Island Stormy. 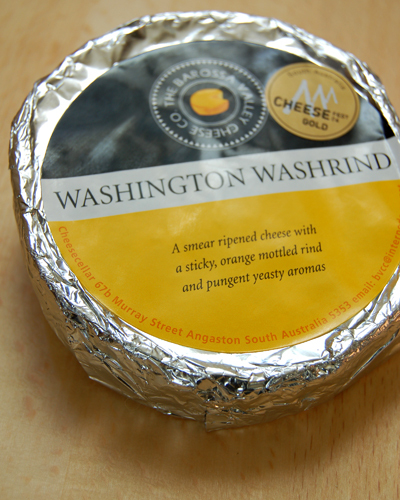 If you are new to washed rind cheese I wouldn't start with this one. I'd also recommend leaving this out in the open for a few hours to rid it of any lingering ammonia scent. 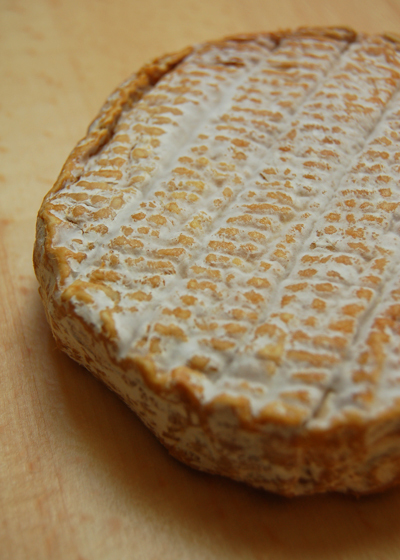 At room temperature it does develop that lovely unctuous characteristic and oozes so wonderfully when sliced. This cheese would certainly make a statement on your cheese platter.